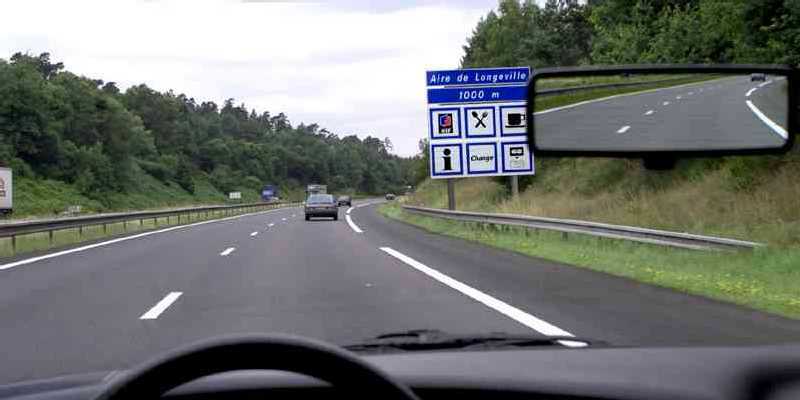 Whether you’re travelling as a family unit, amongst friends, as a couple or even alone, the facilities that France’s motorway system offers for long-distance driver are superb. Anyone familiar with our longest stretch of motorway (the Cork-Dublin route) will be only too well aware of the fact that there are officially no such facilities on our main highway connecting the two largest cities of the Republic. What does exist, such as the decent services areas at Junction 7 near Cashel and at Junction 17 on the M8 near Abbeyleix, are private-run areas that are primarily commercially driven. 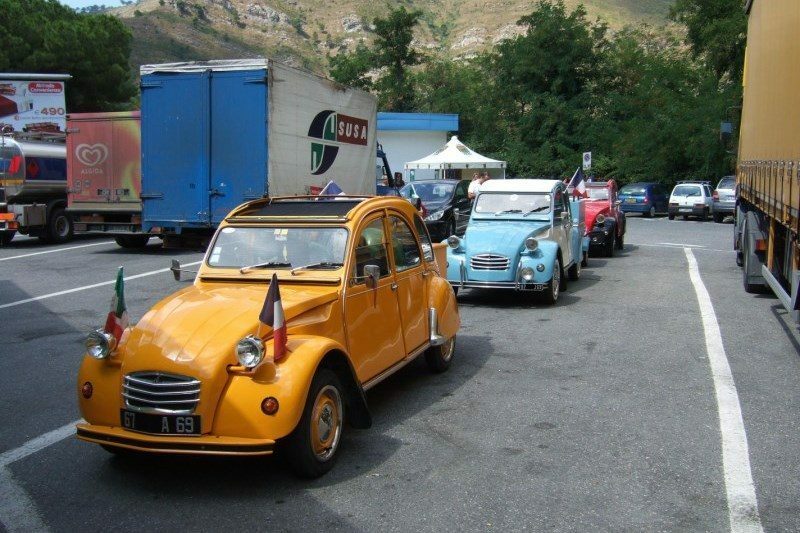 On the French motorway system, however, the whole notion of needing to stop along the road for a rest or to refuel your vehicle or yourself has been carefully considered and this need is catered for in a way that will amaze anyone unfamiliar with driving in France. There are, in fact, two types of what they call aires. The first, and most common, is the Aire de Repos. Literally meaning the “Rest Stop”, these will pop up along the motorway every 20km on average. They don’t have any services for your car, but are designed primarily to make sure that you can pull over in safety and recuperate. They’re all different, of course, but they will generally have parking space, picnic tables and toilets. They’re situated well off the motorway, with plenty of space to stretch the legs or for younger passengers to let off some steam. Some will even have playground installations. If the weather is fine (and it usually is during the summer in France), these places are the perfect tranquil stopover point. They allow for a period of recuperation on a long journey. More importantly still, they make the task of feeding the troops en route to your family campsite holiday a very affordable option. 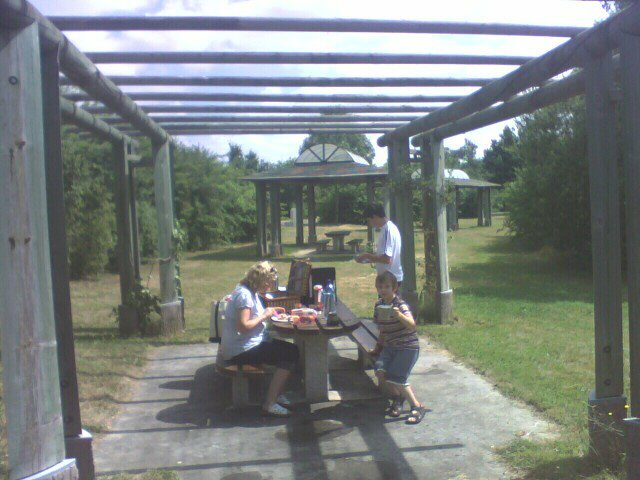 The picnic tables allow you to cook and eat in comfort. There will always be water on hand at the very least and it’s even more usual to have dedicated sinks for doing the washing-up; just like in a camp site. The level of maintenance is good too and visitors seem to be respectful of the principal of leaving the place exactly as you’ve found it. The other type of aire is the Aire de Service. These are larger and more technical pit-stops that are designed to offer the same facilities as the rest stop but with the addition of a petrol station and at least one shop and/or restaurant. Placed every 60km along the road, the level of facilities on offer in the “Service Stops” can vary from the basic as described up to a huge array of shops, restaurants and cafes. Some of the larger ones might even have a hotel on site. Some of the aires are so good, in fact, that they are worth visiting in their own right. The Aire des Volcans d’Auvergne, for example, is considered one of the most beautifully situated in all of France. It’s in the heart of the volcanic region of the Auvergne; on an elevated site 30km north of Clermont-Ferrand with views of the famous extinct volcanoes forming a dramatic background to your picnic. So enjoy the fresh approach to driving the French way. The aires will keep you fresh and in good form for driving those long drives after you get off the ferry or pick up the car from the airport. In the meantime, a very good website that’s worth checking out is the French Autoroute Association’s website www.aprr.fr. It’s in French but you should be able to navigate through it easily with the aid of Google translator. And, while you’re awaiting the definitive guide to aires from tootlafrance.ie, you can use their nifty interactive map to see where they’re located. Previous Previous post: Travel: Paris – Something for the Weekend?